It is difficult to review a book on the paranormal. People either believe in ghosts or they do not. I don’t really think that skeptic is a good term, as it means that the person investigating the case really has no opinion. Their mind is already made up in most cases. I am a member of a few paranormal websites. I have been fascinated with ghosts and haunting from childhood. My experiences have lead me to never doubt that something might be very real. You ignore such things at your peril. Ed and Lorraine Warren dedicated their life to the investigation of the paranormal. This I believe is book one in their series of reports of the paranormal. 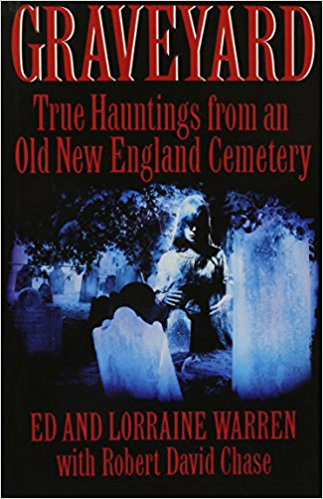 This book deals with ghostly events occurring in the Union Cemetery in Connecticut. The cemetery is very old and has a reputation for haunting that has stretched back over centuries. These are the tales from Ed and Lorraine’s investigations as well as stories reported to them.